FTIC students who complete the application form but fail to submit all supporting documentation prior to the application deadline for a given term may be provisionally admitted for that semester. In order for the student to re-enroll for a subsequent term, all required documents must be received by the registration deadline for that term. Additionally, all applicants must submit unofficial transcripts and government issued photo ID prior to initial course registration. Official transcripts from all postsecondary education institutions attended showing at least 12 credit hours of postsecondary academic earned credit with a cumulative grade point average (GPA) of 2.0 or above from regionally accredited two- or four-year postsecondary institutions. Coursework qualifying as academic credit must be courses normally acceptable for admission as a matriculated transfer student and may not be vocational or remedial in nature. No experiential learning, including time-in-grade, time-in-service credit, or other certificate or training programs, will meet the standard of qualification for admission, high school or GED requirements, or for transfer credit unless such work is recognized in the American Council of Education (ACE) Guidebook. Transfer students must submit Official Transcript Release Authorization form(s) in order to be provisionally admitted for two consecutive terms. Transfer students also must submit unofficial transcripts prior to initial course registration. In order to re-enroll for a subsequent term, all official transcripts must be received by the registration deadline for that term. Attain a 2.0 GPA with no grades lower than a "D"
If applicants meet none of the criteria for admission, they may enroll in courses as non-degree-seeking students. 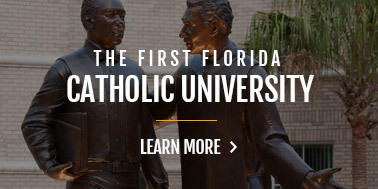 Upon completion of 18 credit hours of non-remedial coursework with Saint Leo University, the applicant may reapply for admission to the University. The Online Learning Center enrolls a limited number of students who wish to take selected courses for credit but who do not want to study for a degree. These students must complete an application and indicate that they are not degree seeking. 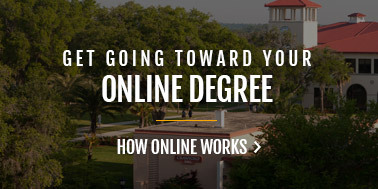 Non-degree-seeking students are limited to 18 credit hours with Saint Leo University. Veterans eligible for Veterans Administration (VA) educational training benefits must be in a degree-seeking status in order to qualify for VA benefits. Admission requirements may also be imposed by providers of financial aid or military tuition assistance. CLEP, DANTES, GED college-level examinations, USAFI examinations, Regents Standardized Examinations, or advanced placement (AP) examinations. Documentation for evaluation of nontraditional transfer credit (including military training on a Joint Services Transcript, a validated DD Form 295, or Community College of the Air Force CCAF Transcript). Other relevant documentation as needed (veterans/retirees should include a DD Form 214). Licensure documentation to support the granting of University credit for some occupational courses. University credit is available to members of the military services upon presentation of proof of completion of service-related courses and/or training schools and to law enforcement officers who have completed coursework in the FBI National Academy, local law enforcement academies or other training, police institute, and certified polygraph schools. Verification of coursework is obligatory in order to obtain credit. Nontraditional sources of credit have specific limits (see Transfer Credits ). Once all of a student's documents are received at the Online Learning Center, the Admissions Committee will review the student's application and the student will be notified of the admission decision. Upon completion of the Registrar's evaluation, students will have access to their program evaluations online via the Saint Leo Portal and eLion. This evaluation will include courses for which transfer credit has been granted and courses left for degree completion. 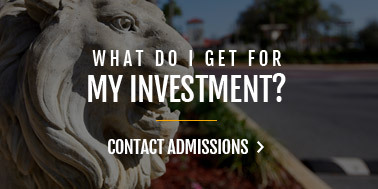 In order to file for veterans' benefits or to be eligible for most other types of financial aid, a student must first be admitted to Saint Leo University. Service members using tuition assistance have a reimbursement limit of 15 semester hours, unless they become degree seeking and obtain a Servicemembers Opportunity Colleges Agreement. 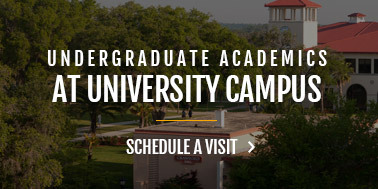 As with Saint Leo University's other programs, there is a minimum residency requirement of 30 semester credit hours. The residency requirement means that students must earn 30 credit hours at Saint Leo University. All credit may be earned online. International students are required to have all documents and credentials submitted to their respective Education Center or the Online Learning Center, and then the Registrar determines admissibility. Please check with respective Education Center to determine if international students can enroll. Saint Leo University recognizes all international diplomas and credits taken at accredited secondary and postsecondary institutions once all appropriate official documentation and credentials are received and translated (where necessary). Credit is granted in accordance with the National Association of Foreign Student Advisors (NAFSA) and the American Association of Collegiate Registrars and Admissions Officers (AACRAO). Students presenting diplomas indicating academic work beyond the high school level will have academic work evaluated by the Registrar. The Registrar will determine the exact number and nature of courses granted once the international evaluation is received. Please see the application packet for a complete list of approved international evaluation agencies. A minimum score of 550 (paper based) or 213 (Web based) on the Test of English as a Foreign Language (TOEFL). A minimum of 6.0 on the International English Language Test System (IELTS). A minimum of 450 on the verbal component of the SAT. Grades of B or higher in English composition courses where English is the language of instruction. For transfer students, two semesters with grades of B or higher in English composition courses at regionally accredited postsecondary institutions in the United States. Successful completion of a NASFA-recognized ESL program. Completed application with nonrefundable application fee. Funds must be drawn on U.S. banks and made payable in U.S. dollars. Original international evaluation from an approved international evaluation agency (please see the application packet for list of approved evaluators). Proof of English language proficiency. English proficiency may be demonstrated by submitting qualifying TOEFL scores or by meeting other approved criteria in lieu of the TOEFL as outlined above. A student wishing to enroll in courses at another University Center or Campus must apply for a change of residency. To complete an application for a change of residency, please log into https://fs.saintleo.edu. Click on the "UTS Help Desk" link in the left-hand navigation bar. Follow the posted instructions to fill out the form. Please note that a change in residency may result in a change of tuition rates. Consequently, a student should not complete the application until his or her student account at the prior resident center or campus is settled. Saint Leo University reserves the right to deny a student's application for change of residency if the student violates any University policy or fails to stay current on his or her student account. Changes of residency requests are not automatically granted and are made at the discretion of the Associate Vice President for Enrollment and Support Services, or designee. 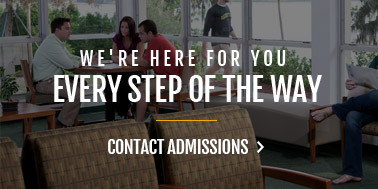 New students seeking to enroll in Saint Leo University can contact a program representative at (888) 875-8265. For more information, go to the Online Learning Center website: www.saintleo.edu/worldwide-admissions. Current students can re-enroll by using Saint Leo University's online registration system, eLion, at https://elion.saintleo.edu or contact Student advising at (877) 856-2144. Before official registrations are completed, course selections are checked to make sure that the necessary prerequisites are met. Obtaining academic advisement and early registration is highly encouraged because many course selections close out early. COL students are not considered registered until they have paid for their courses (their share and documentation for any third-party payment of the remainder). Active-duty military tuition assistance requests normally take at least 24 hours to be processed and approved. Students carrying a course load of two courses (six semester credit hours) are considered full time; those taking one course (three semester credit hours) are considered part time. A course load of three courses requires approval and a 3.0 GPA or higher. To take four courses, students must obtain permission from a Online Learning Center administrator. A four-course load is approved only under unusual circumstances. Saint Leo uses eFollette.com as its book vendor. Financial aid students are able to buy their books using their anticipated financial aid credit (if their financial aid award exceeds tuition charges for the term). Financial aid students who wish to buy their books using their financial aid credit must wait until after they receive their book vouchers to purchase their books. Financial aid students will receive, via their Saint Leo e-mail account, a voucher number with the subject of the e-mail being "Use your STUDENT ALLOCATION to order your books online." Students who are purchasing their books by credit card can do so when registration opens. Online students can access the textbook website at https://www.bkstr.com/saintleoworldwidestore/shop/textbooks-and-course-materials. To withdraw from a class or classes, students must complete an Official Course Withdrawal Form online. Students have the prerogative of dropping a course until the end of the first week of classes without financial penalty or grade, and after that students will receive only a partial refund of tuition (see below), and a grade of W is assigned until the final published date for withdrawing (the last day of week 6). The grade will be reflected on the transcript, but not calculated into the grade point average. Failure to properly withdraw will result in a grade of FA (Failure due to Absences). Deadlines for withdrawal from courses are reflected on the published schedule below. Course withdrawal does not cancel any student indebtedness to the University. Saint Leo University reserves the right to cancel the registration of any student who fails to conform to the rules and regulations of the University. Any student who stops attending any course for which he or she is registered without following the appropriate withdrawal procedures will be counted as an unofficial withdrawal. As a result of unofficially withdrawing, he or she will receive a grade of FA. The Financial Aid Office may reduce the student's aid eligibility and refund a portion of the student's financial aid to the original funding source. The midpoint of the enrollment period will be used for the purpose of calculating the return of Title IV funds. The student will be responsible for repayment of all outstanding loans and will be responsible for payment of the tuition and fees associated with the course. A student who earns an FA grade earns no credit, and the FA is counted in the same manner as an F grade on the student's grade report. Saint Leo University does not recognize an unofficial withdrawal for purposes of determining an institutional refund or a change of grade to W—Withdrawn. If the review of the unofficial withdrawal determines that the student did not begin the withdrawal process or otherwise notify the school of the intent to withdraw due to illness, accident, deployment, or other circumstances beyond the student's control, the school will determine a withdrawal date from its consideration of the circumstances. Refunds of tuition for withdrawal from courses are given according to the following schedule. Note that if you are enrolled at Saint Leo University WorldWide Education Centers and/or Online Program in Georgia, Maryland, South Carolina, or Wisconsin, please proceed to the applicable schedule. 100% tuition refund if course withdrawal occurs by the end of the add/drop period. 75% tuition refund if course withdrawal occurs after add/drop and before the end of week two. Laboratory and special course fees are 100% refundable if course is dropped before the end of the drop/add period. After the drop/add period, laboratory and special course fees are nonrefundable. Refunds due students who have credit balances in their tuition account will automatically be issued within 14 days, unless funds are held due to administrative review regarding fraud or eligibility. Appeals regarding refunds shall be submitted in writing to the Business Office, MC 2097, Saint Leo University, P.O. Box 6665, Saint Leo, FL 33574-6665. Refund policy for students enrolled in courses at Saint Leo University WorldWide Education Centers and/or online programs in Georgia. 75% tuition refund if course withdrawal occurs after add/drop and before less than 25% of the course term is completed. 50% tuition refund if course withdrawal occurs after more than 25% and less than 50% of the course term is completed. No refund for any course with withdrawal after 50% of the term is completed. Refund policy for students enrolled in courses at Saint Leo University WorldWide Education Centers and/or online programs in Maryland. 80% tuition refund if course withdrawal occurs after 10% of the course is completed but before 20% of the course has been completed. 60% tuition refund if course withdrawal occurs after 20% of the course has been completed but before 30% of the course has been completed. 40% tuition refund if course withdrawal occurs after 30% of the course has been completed but before 40% of the course has been completed. 20% tuition refund if course withdrawal occurs after 40% of the course has been completed but before 60% of the course has been completed. No refund for any course with withdrawal after 60% of the course has been completed. Refund policy for students enrolled in courses at Saint Leo University WorldWide Education Centers and/or online programs in South Carolina. 75% tuition refund if course withdrawal occurs after add/drop and before 25% of the course is completed. 60% tuition refund if course withdrawal occurs after 25% of the course is completed but before 38% of the course has been completed. 50% tuition refund if course withdrawal occurs after 38% of the course is completed but before 50% of the course has been completed. 30% tuition refund if course withdrawal occurs after 50% of the course is completed but before 60% of the course has been completed. Refund policy for students enrolled in courses at Saint Leo University WorldWide Education Centers and/or online programs in Wisconsin. 90% tuition refund if course withdrawal occurs after add/drop and before 10% of the course is completed. 70% tuition refund if course withdrawal occurs after 20% of the course is completed but before 30% of the course has been completed. 60% tuition refund if course withdrawal occurs after 30% of the course is completed but before 40% of the course has been completed. 50% tuition refund if course withdrawal occurs after 40% of the course is completed but before 50% of the course has been completed. 40% tuition refund if course withdrawal occurs after 50% of the course is completed but before 60% of the course has been completed. As part of this policy, the school may retain a one-time application fee of no more than $100. A student will receive the refund within 40 days of termination date. If a student withdraws after completing 60% of the instruction, and withdrawal is due to mitigating circumstances beyond the student's control, the school may refund a pro rata amount. A written notice of withdrawal is not required. Registered students may add courses until the first day of classes. To receive a full refund, courses should be dropped before the end of the first week of classes. Registered students are automatically "dropped" from classes if not logged in during the first week of classes. 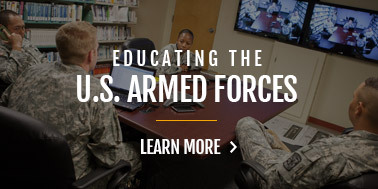 If a student is active-duty military and receives unexpected TDY orders during the semester, an excused withdrawal is available without financial penalty by providing orders of the duty to the Saint Leo University Online Learning Center. Students may re-enroll for the same class at a later date without penalty. During this time, the Online Learning Center will hold the tuition. These circumstances must be reported to the issuing Tuition Assistance office in order to avoid repayment of the Tuition Assistance portion of the bill. Refund policy for military Iowa students enrolled in online courses at Saint Leo University. It is the responsibility of the student to contact your enrollment counselor/advisor, provide proper documentation and follow the appropriate procedure. i. Withdraw the student's entire registration and issue a full refund of tuition and mandatory fees. ii. Make arrangements with the student's instructors for course grades, or for incompletes that shall be completed by the student at a later date. If such arrangements are made, the student's registration shall remain intact and tuition and mandatory fees shall be assessed for the courses in full. iii. Make arrangements with only some of the student's instructors for grades, or for incompletes that shall be completed by the student at a later date. If such arrangements are made, the registration for those courses shall remain intact and tuition and mandatory fees shall be assessed for those courses. Any course for which arrangements cannot be made for grades or incompletes shall be considered dropped and the tuition and mandatory fees for the course refunded. The Financial Aid Office administers federal, state, private and university financial assistance programs, including student employment. It is the purpose of the Financial Aid Office to administer needy and/or academically qualified students with financial aid in the form of scholarships, grants, loans and work programs to the extent that resources are available. In order to make the best use of limited funds, awards often consist of a combination of resources. Professional staff are ready to help all students plan for the most efficient use of their financial resources for education. The Financial Aid Office's primary means of communication to students is through email. It is the student's responsibility to frequently check their Saint Leo University email for important messages from the Financial Aid Office. Students with questions are encouraged to contact the Financial Aid Office. Financial Aid Support is available to take calls Monday thru Friday, 9:00 am - 5:00 pm eastern standard time. Students who require financial assistance in order to attend the university should apply for assistance each academic year. The U.S. Department of Education's Free Application for Federal Student Aid (FAFSA) on the web (www.fafsa.ed.gov) is used to determine eligibility for assistance based on need. The FAFSA must be completed for each academic year. Students should submit their regular or renewal FAFSA so that it is received by the federal processor by the January 1 priority date. The FAFSA is available annually by October 1. When completing the FAFSA, applicants must enter Saint Leo University's federal school code - 001526. Financial aid begins to be disbursed assuming all requirements are met, within 10 days of the beginning of the term (8 week class) for term based students and 10 days of the beginning of the semester for semester based students. Requirements can include verification completion, enrollment and program specific requirements (example: half-time enrollment). A change in your status pertaining to any of these requirements can impact your eligibility for financial aid funds. SAP is evaluated at the end of each academic semester or after each set of two 8-week linked terms when grades are posted. The evaluation normally occurs two weeks after the end of the semester/term. For full details regarding Saint Leo University's SAP policy, details concerning the requirements listed above, and the complete appeal process, visit www.saintleo.edu/sap. Unpaid balances are subject to a late fee of 1% monthly (12% annually). Late fees accrue 60 days after term start. When a student leaves the University owing money, his or her receivable balance is placed in collection status. These accounts may be assigned to an external collection agency after 90 days past due. Students are responsible for all late fees, collection agency costs, and attorney's fees imposed on delinquent accounts. Transcripts and diplomas will not be released until the account balance is zero. Students must request loan deferment/enrollment verification forms from the institution requesting verification. Saint Leo University does not provide loan deferment or enrollment verification forms. All deferments must go to the Registrar's Office on the University Campus. No deferment or verification forms may be processed by the Online Learning Center.